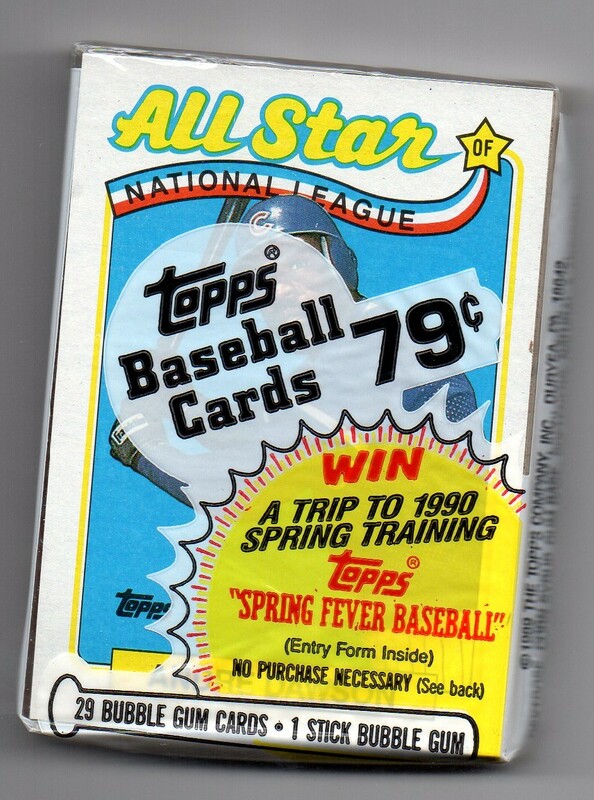 1989 Topps Cello Pack With Andre Dawson All-Star Card On Top!!! YES!! Here is another sweet addition to my Andre Dawson collection of sealed packs that showcase his card in the ‘window’. This one is from the 1989 Topps release and it features his All-Star card from the set. What’s really cool is that I already have a sealed cello pack from the 1989 Topps release that features Dawson’s base card from the set. He had three cards in total in the 1989 release. I am now officially hunting for a third one for my collection – and it must feature his ‘Record Breaker’ card in the window. In total, I opened up three blasters of 2014 Topps Series 1 baseball cards. 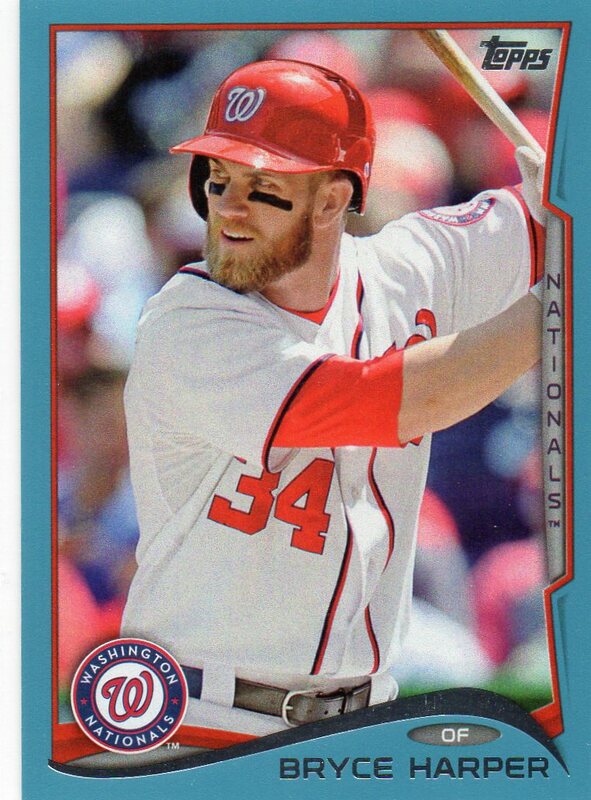 I never pulled a base card of Bryce Harper from the packs, but I did pull the Wal-Mart exclusive Blue border card. The Blue looks fantastic with this card. It is a very solid complementary color to the Red & White of the Nationals uniforms. And it is just light enough for the Nationals logo, which contains a good amount of Navy Blue, to truly pop. A great pull – and a great addition to my Bryce Harper collection. 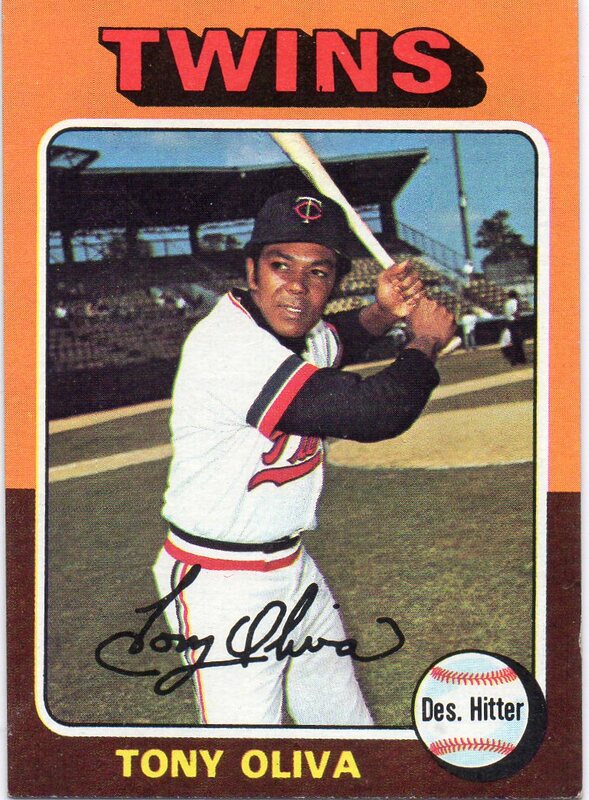 Notes From His 1975 Season: The 1975 baseball season was Tony Oliva’s final full-time season in the major leagues. He appeared in 131 games for the Twins and proved he could still be a serviceable player with his .270 average, 13 home runs, and 58 RBI. He led the league in getting hit-by-pitch with 13. Notes From Career: Tony Olive spent his full, 15-year career with the Minnesota Twins. He was an 8-time All-Star, a 3-time batting champion, a Rookie Of the Year winner, and a perennial MVP candidate. He left the game with 1,917 career hits and a lifetime batting average of .304, with nine seasons of hitting .300 or better. 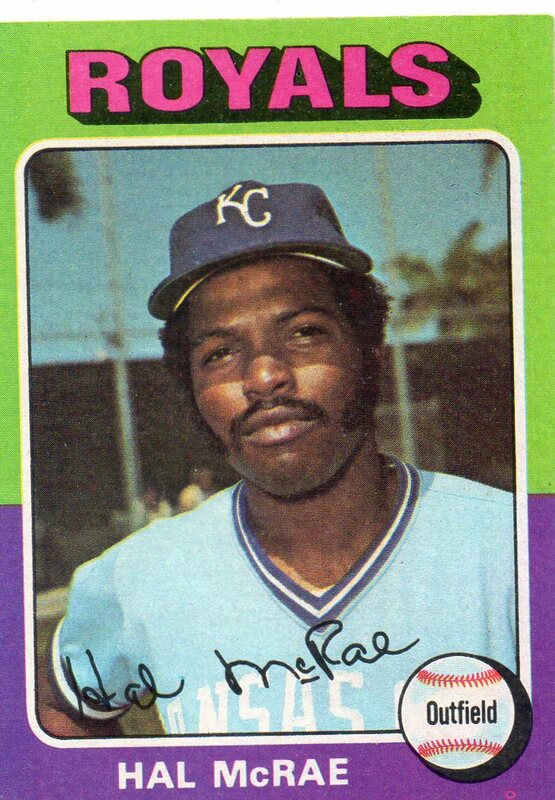 Notes From His 1975 Season: Hal McRae was named as an All-Star for the first time in 1975. During the season, he hit .306 for the Royals with 147 hits. Of his 147 hits, McRae connected for 38 doubles, 6 triples, and 5 home runs. He also stole 11 bases en route to scoring 58 runs. Notes From Career: Hal McRae was a 3-time All-Star and the winner of a Silver Slugger award. An MVP candidate in 5 different seasons, McRae had a nice offensive game that led to a lifetime batting average of .290. McRae competed in four World Series match-ups, winning just his final one with the Royals in 1985. I typically stay away from the ‘online exclusive’ baseball card releases. There is something about these cards that makes me a little uncomfortable – exactly the opposite feeling of what I experienced collecting cards as a kid. Since this year’s Topps Turkey Red release contained two Marlins in the set, I have opted to avoid the team set build and go directly for the player collections as both players in the set are the Marlins I collect – Giancarlo Stanton & Jose Fernandez. I love it. These look really nice. I do, however, wish that Topps filled up the empty space on the bottom of the card after the player’s last name. Maybe include the team name and the player’s position, or jersey number – something! 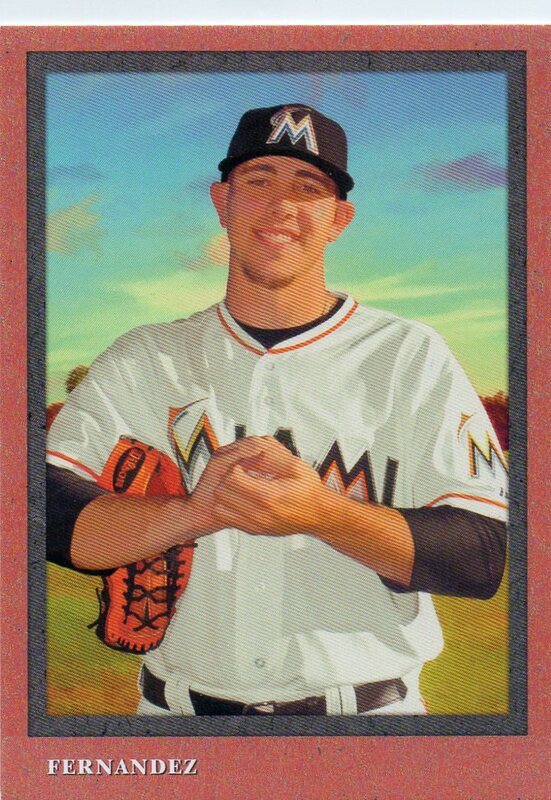 Speaking of Jose Fernandez, he has officially been named as the team’s Opening Day starter as the Marlins face the Colorado Rockies. I cannot wait!